Does A Harvard Education Help You Win Baccarat? My friend pointed out to me a couple of threads at BaccaratForums by a member stevefoxwong who claimed to have tested two methods which won both Zumma sets of shoes. Based on his results, stevefoxwong proclaimed them as “holy grails.” One of the methods is by “Harvard educated” Zuan Xin and his successor and classmate, David Sofer. Xin’s method is posted at macaucasinoworld.com, which is heavily sponsored by Macau casinos. Hidden within his collection of humorous and rather mystical anecdotes, Xin supposedly reveals the esoteric secrets of his Grand Baccarat Learning pattern of patterns method, which he claims can mathematically beat the game. 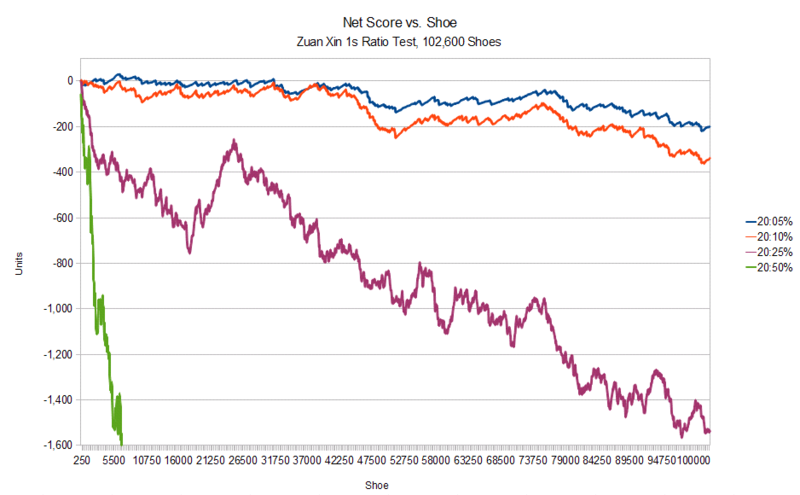 In David Sofer’s words, “intricate theoretical probability, tens of thousands of live casino shoes, and millions of computer simulated shoes were triangulated” to establish the validity and efficacy of Xin’s method. Zuan Xin revealed the underlying mathematical structure of the game of Baccarat, its pattern of patterns, he did not invent a quote unquote system. People who study online or attend special learnings gain a complete understanding of his teachings and then they decide how and with how much they will use these teachings. The pattern of patterns as revealed by Zuan Xin indicates that there is no such thing as a quote unquote flat betting system. Zuan Xin being a Harvard trained applied mathematician and number theorist, those of us who follow him do not question his mathematical conclusions, and because he has provided his teachings online at no cost, he should not be mistrusted. He is retired now, I continue to write content based on his files that he gave to me, I only charge tuition when I conduct a special learning, as that requires substantial time and energy. Billions of dollars of Baccarat losses worldwide indicate that all of these so called systems are worthless. Be a player not a gambler! Sofer charges a mere $888 to directly transmit Xin’s special learnings to those who are not diligent enough to figure out Xin’s method for themselves at his site. My friend was one of the diligent ones, and he set upon the task of trying to reproduce stevefoxwong‘s Zumma results. However, he could not. Moreover, he realized that the validity of Xin’s core assumptions stood upon a single test. If it failed a long term simulation, then Xin’s method could not possibly win in the long term. According to my friend, Xin’s method is based on reversion to the mean. Taking the 1s event (a single decision with no repeats on each side) as an example, Xin knows that in the long term, 1s should occur half of the time, and 1+s (events longer than 1s) should occur the other half of the time. Hence, within a shoe, whenever the percentage of 1s to the total number of events is less than 50%, that is, less than expected, Xin believes it is worth the risk to start betting that 1s will eventually “catch up.” For example if in a shoe, one 1s occurred, while three 1+s occurred, the 1s ratio is 25% (1/4), and so 1s are occurring less than expected, hence start betting for 1s to occur later in the shoe, and keep betting for 1s until the ratio reverts to the mean. According to my friend, the remainder of Xin’s method simply involves similar considerations of the expected ratios of the higher-numbered events (2s, 3s, 4s, etc. ), and so if the 1s test failed, the entire edifice of Xin’s house of cards collapses. Of course, assumptions like reversion to the mean is based on gambler’s fallacy (ref. Fallacies and Illusions), and from mathematical grounds, has absolutely no hope of winning a long term simulation. But to help objectively establish quantitative results, I performed a simulation of my friend’s crucial test of Xin’s core assumption. In the test, I waited a certain number of hands at the start of each shoe (Wait = 5, 10, 15, 20) to begin collecting the number of 1s and 1+s events, which I used to calculate the ratio of 1s to the total number of events (1s plus 1+s). After the mandatory wait, whenever the ratio is below a set threshold percentage value (5%, 10%, 15%, 20%, 25%, 50%), I begin betting for 1s to occur. For money management, I use a 1,1,3,6 progression, and I stop betting if the net score in any shoe falls lower than -10u. I treat each shoe as a closed system and start the count of events afresh upon each new shoe. The quantitative results over 102,600 shoes are tabulated in Series 30 Results. In a phrase, the long term expectation is always worse than the standard house vig. If Xin and Sofer indeed have positive results of Xin’s full method from “millions of computer simulated shoes,” they are not posted at his site or anywhere else that I could find. To the best of my knowledge, the results I have posted here are the only published ones of an objective test of a core assumption in Xin’s method. I invite any of Xin’s and Sofer’s students (which number in the thousands according to Sofer) to offer feedback here about their experiences playing baccarat with Xin’s method. I did try calling Harvard’s alumni department to try to verify whether Xin and Sofer actually attended Harvard, but as of this writing, Harvard has not yet responded to my request for information. I will update this post if and when they do. This entry was posted on March 7, 2011 at 11:28 am and is filed under Life with tags 100000 baccarat shoes, 1s, analysis, baccarat, Baccarat Great Learning, baccarat simulations, baccarat simulator, banker, bet, bet progression, data, David Sofer, disparity, events, flat betting, gambler's fallacy, Harvard, land casino, live baccarat shoes, macaucasinoworld.com, mean, method, money, money management, player, program, programming, results, reversion, reversion to the mean, setup, shoe, Sofer, strategy, system, testing, threshold, trigger, wait, Xin, Zuan Xin. You can follow any responses to this entry through the RSS 2.0 feed. You can leave a response, or trackback from your own site. Nice work as usual!!! I am no Harvard mathematician or even any kind of mathematician. However, in reading the above it is apparent that Xin’s idea is not new. Many use this kind of “weighting” to either bet for or against the “averages.” Neither work as one is just the inverse of the other. Baccarat still a guessing game! Of course, you’re right. And I’m sure many of them will swear their approach consistently wins. All I can say is that they’re experiencing one of those local updrafts, that is, those localized series of shoes where the winnings outpace the losses. My graph show those winning streaks can be tens of thousands of shoes long, which well covers many life-times of playing, if one is lucky enough to get them. I can understand why they think their methods are winners, even though they’re just getting lucky. Well done David. I am glad some people still report the truth out there, using real empirical evidence, instead of vague anecdotes and clever conjecture. You’re most welcome. Thanks for all of your hard work, too. Keep up the great work searching for the truth, and the rewards will follow! Here is what I have to say about this. This is a very cynical age we live in, some even call it a “neurotic epoch” of history. Everybody questions everybody’s intentions, it’s the way it is, but it is a free world, and I have absolutely no complaints about it and would have it no other way. And if someone wants to criticize someone else, at any level of detail or analysis, that’s perfectly okay, too, but it is up to people to weigh all of the arguments and to assess the methods and motives underlying them. The problem with this instant analysis is that it has very little to do with how Baccarat gamblers actually gamble at Baccarat, no one does play or should play “robotically” at Baccarat or any other casino table game for that matter. As for me, I am one of the best followers of Zuan Xin and very proud to say so, he has made a contribution to the Baccarat literature that is unparalleled, many many thousands of Baccarat gamblers across the world, many of them serious gambling addicts who lose a lot of money that nobody can afford to lose, have become Baccarat players by studying his teachings online that are available free of charge at MacauCasinoWorld. Please see the following chart of Macau casino Baccarat winnings. All analytics aside, this is an epidemic, and that is what Zuan Xin was interested in impacting. Trillions of Hong Kong dollars will be wagered in the Baccarat rooms of the world this year! And tens of billions will be lost! You should know, that those who have actually participated in special learnings have been for the most part very happy that they did, it is a large commitment of time and effort to conduct a special learning properly and that is why tuition has to be charged. Everyone that inquires is urged first to study harder and more rigorously, most never contact us again, and that’s what we want. Special learnings are not an ongoing business. The Baccarat Great Learning, “Baijialedaxue” in Chinese, is constantly misunderstood to be a “system” and it is not that at all. What Zuan Xin did was reveal the deep underlying mathematical structure of a game that both the Baccarat casino professionals and their casino gambler “customers” generally believe is a game of luck with no underlying mathematical structure. Attached please find the classic saying of one of the Asian “gods of gambling” Dai Zilang to that effect, also an article that was published by Sing Tao in December 2007. Those who practice “best quality discipline” using the “Baijialedaxue” of Zuan Xin play very carefully and very conservatively after selecting the shoes that they will play very diligently, this is what Zuan Xin teaches, in the same way Edward O. Thorp used his “Beat the Dealer” approach to Blackjack very carefully and very conservatively. I would close by advising you that the large casino companies all employ “mathematical consultants” who have torn apart every table game that you see on the casino floor from virtually every mathematical angle and brought about the implementation of countermeasures against any and every approach that conveys even the possibility of advantage play. Zuan Xin has never claimed that he developed a “system” that can be played “robotically” and defeat the casinos at their most important and most profitable table game of Baccarat, but for the many many thousands of followers of his Baccarat Great Learning worldwide, the Baccarat playing field has been leveled. I think Oscar Wilde once said that the cynic knows the price of everything and the value of nothing, all of us should remember that, we should question people’s intentions when there are grounds for that and full understanding underlying such grounds, but there is no virtue in cynicism for cynicism’s sake. Thanks again for writing in to me, and I hope that these comments have been helpful for you.